Laura works on the social and environmental impacts of fossil-fuel subsidies, pricing and their reform. She is an economist with expertise in energy policy. 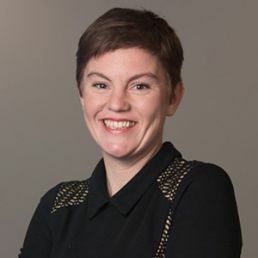 She manages the Global Subsidies Initiative (GSI) of the International Institute for Sustainable Development (IISD) and works alongside the Friends of Fossil Fuel Subsidy Reform as well as supporting country work in Bangladesh, India, Indonesia, and Nigeria. She leads on fossil fuel subsidies and the link to climate change and gender impacts. Previously based in East Africa, she worked for Oxfam as a regional coordinator on trade and economic justice. Laura has also worked as an advisor for the International Union for the Conservation of Nature. She holds an MBA (Université de Genève), MProf (Sustainable Development). Recent publications include contribution towards Fossil Fuel Subsidies and the Global Climate Regime (Cambridge University Press, 2018) and Making the Switch: From fossil fuel subsidies to sustainable energy (Nordic Council of Ministers, 2017). Governments and business need to switch to low-carbon energy fast. Billions of dollars of government subsidies are still being wasted on fossil fuels, from kerosene to coal, every single year. Governments need to remove subsidies to fossil fuels and invest in a better future. These subsidies send us backwards, and they lock us in a road to nowhere. Governments and business need to switch to low-carbon energy fast. Billions of dollars of government subsidies are still being wasted on fossil fuels, from kerosene to coal, every single year. Governments need to remove subsidies to fossil fuels and invest in a better future. These subsidies send us backwards, and they lock us in on a road to nowhere. Imagine if we swapped all the fuel subsidies government spends each year on fossil fuels, like gasoline and diesel, for improving public bike lanes? We could build safer cycle lanes enough to go round the planet 123 times. Global fossil fuel subsidies work out at about USD 400 for every car in the world, every single year. Imagine what we could do if governments switched those subsidies for pedal power instead? This website uses own and third party cookies and technologies to enhance your visit by adapting browsing to your preferences.